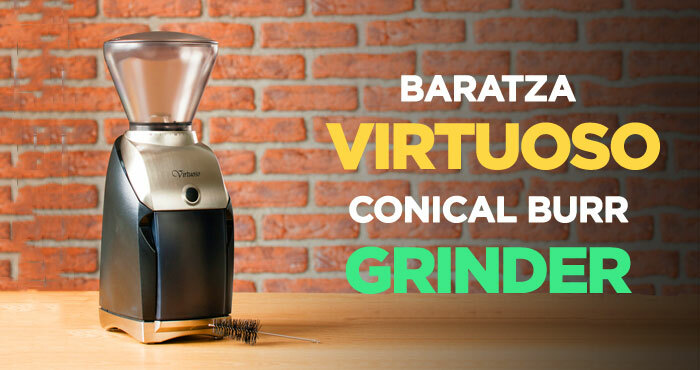 The Baratza Virtuoso Conical Burr Coffee Grinder is the unsung hero of the brewing process, and probably the last frontier for many people who have entered the world of specialty coffee. 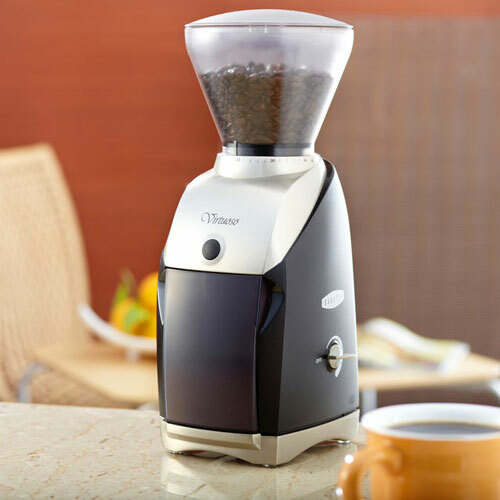 Baratza Virtuoso is, without any doubt, one of the best burr coffee grinder available in the market. Since Baratza’s inception in 1999, they have quickly become a big name in grinders, and with their Virtuoso conical burr coffee grinder, they have brought high-end precision to the world of home coffee appliances. Never a company to ignore the importance of design, this machine’s sleek, elegant exterior hides its real assets. Knowing that the key to next-level coffee is a consistent grind that comes out the grinder as pristine as possible, the real effort went into the internal components. Inside it has a high-quality motor and precision gear controls, as well as stainless steel burrs made to last a long time. Combined with its 40 different grind settings it is built with a range and durability suitable for home, office, and light commercial applications. Baratza is out to set the standard in home electric coffee grinders, so in this Baratza virtuoso review, let’s take a look at how this product stands up. Unlike many other companies, Baratza has stayed away from packing their products with a lot of bells and whistles. Instead, most of the emphasis has gone into the core components that make up the Baratza coffee grinder, and the overall design. 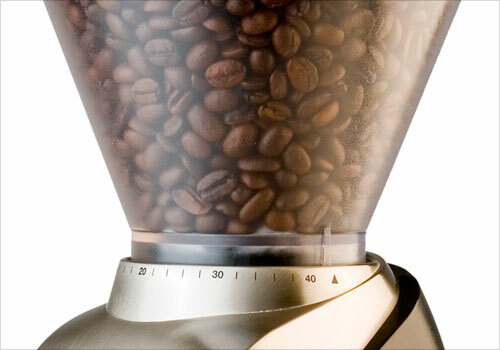 When buying a coffee grinder, you want to make sure that it covers a wide range of different coffee types. The Virtuoso coffee grinder by Baratza has 40 stepped grind settings that range from 250 to 1200 microns. In simple terms, that covers the fine grind needed for good quality espresso machines, to the coarse grinds used with a French press, as well as anything in between from drip coffee makers to percolators. Every coffee brewer is a bit unique, so there are enough setting with this grinder to make sure it’s possible to find the perfect match, and with stepped instead of continuous controls, going back and finding the grind that worked is always simple. The precision gearbox is one the features that sets this coffee grinder apart from many other options. They released their second generation gearbox in 2012 and developed it with a strong focus on strength and durability while keeping it as quiet as possible. A low-quality gearbox is one of the things that can wear down quickly, usually leading to a grinder needing to be replaced. Baratza has upgraded to metal gears with glass filled thermoplastic, a material that results in quieter operation and that is more resistant to wear and shock. These support a thermal cutout system that kicks in for any situation where the mechanical parts are in danger of damage. During the testing process, they ran steel screws through the machine triggering the cutoff, and then checked to make sure the gears remained fine. Hopefully, that’s a more serious test than anything this machine would see in your home. Selecting the right motor for a coffee grinder is extremely important, and to meet the demand for consistent good quality grinds, Baratza chose a high torque DC motor. This motor offers a couple of advantages over what you might find in the typical coffee grinder. First, because of its high torque, it is able to apply more force at lower speeds. This lets the coffee grinder run quieter and produces less heat. Too much heat and a lot of the flavor gets burned out of the beans before brewing can even start. The other big advantage is that it helps to produce a more consistent grind size. 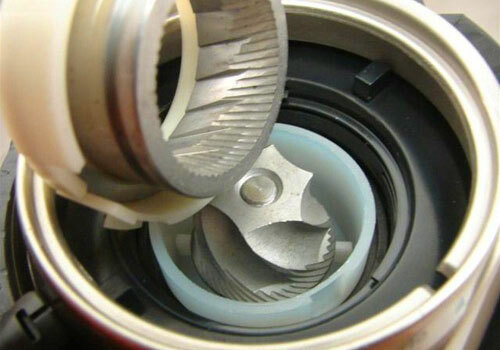 Some of the inconsistencies some grinders produce come from the short period between when the motor first starts, and when it reaches a stable speed. This motor starts up very quickly, and has a shorter ramp up to reach the grinding speed because it runs relatively slower, leading to less off grind sizes during that interval. The advantages of the gearbox and motor are further enhanced by the speed control system. The Baratza Virtuoso Conical Burr Coffee Grinder uses electronic speed reduction to control the rotation of the burr keeping it to 500 RPM. Running at a slower speed ensures that the beans are fed smoothly into the burrs, putting less stress on the parts and also contributing to a consistent grind size. This further reduces the heat and noise produced during grinding, and cuts down on one other annoyance. Some other machines that are capable of good quality grinding nevertheless produce a lot of static charge. That means that when the grind is finished, there is coffee powder sticking to the inside of the machine and walls of the container. Not only does that waste coffee, but grounds left in the machine go stale and can later be pushed out to blend with fresh coffee and affect the taste of future cups. Baratza hasn’t completely removed the static problem, but has done a good job minimizing it. It is a nice looking machine with a very small countertop footprint. A coffee grinder is never a centerpiece item that gets shown off, but Baratza has obviously paid a lot of attention to the overall appearance. It has a sculpted metal top and base that gives it an expensive and elegant image reflecting the quality of the interior components. The controls are also a study in minimalism while still being easy to use. There is a front mounted pulse button that works for grinding directly into an espresso basket, and a small timer on the side that can used to replicate the ideal grind times. These give it a very sleek appearance, with a little touch of class. Overall, it’s the pieces that you don’t see that add together to make for the really good quality grinder. Baratza’s approach is to use the best components and then leave the machine uncluttered with other options that may never get used. 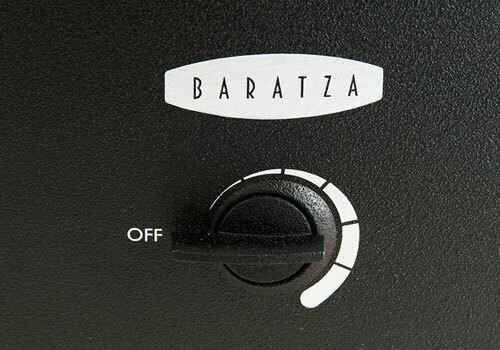 For coffee grinders, Baratza’s products generate a lot of discussion about what works and what doesn’t. Here’s the consensus on Baratza coffee grinder. Still not convienced? Here’s a quick video overview of Baratza Virtuoso grinder. 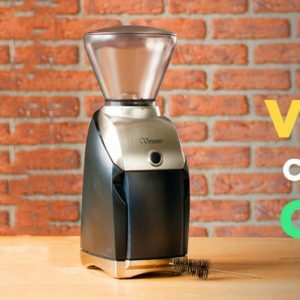 With the Vituoso Grinder, Baratza is really out to give customers what they want, a nice looking machine, with simple, accurate controls, and that works with the whole range of different coffee types. Between earlier models and releasing this one, significant improvements in the internal parts have really stepped up the overall level of quality. The best way to look at it is that if you can’t think of anything specific that this machine doesn’t so, it’s going to handle basically anything you throw at it. For a grinder at this price point, the high-end burrs and motor are unmatched by other brands, and with 40 grind settings, it’s going to cover the range suitable for similar level coffee brewing machines. Ultimately what it aims for, and achieves, is simplicity combined with consistency. All of the features work together to make it an unobtrusive device that will run quietly in the background, and require only minimal cleaning and maintenance. The stylish design makes it a nice addition to almost any kitchen, and with its durable stainless steel burrs, and high-quality motor, this is a grinder that won’t have to be replaced often. The Baratza Virtuoso Espresso comes in around the top of the price range for semi-professional coffee grinders. Moving up a level from this one is where you will start finding a much more options for fine-tuning controls, and other smart features. The other coffee grinders in this price range tend to have lower quality internal components, but more bells and whistles. Whether to choose this one or not really depends on two main things. The first one is whether or not you want to go fully professional with your coffee grinder. For real obsessed coffee enthusiasts having less presets and more manual controls is important, it can be an endless quest tweaking your grind to get the perfect brew. Most people, however, only need a high-quality device that doesn’t require a lot of fiddling to get a cup of coffee started. 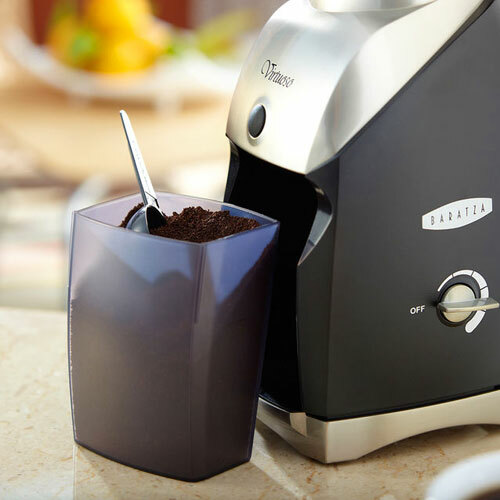 Compared to similarly priced grinders you’re not going to get automatic dosing options, or other intelligent features. What you do get is more consistent grinds, over a wider range of grind sizes. This is mostly noticeable in the top and bottom of the scale. Other grinders in this price range struggle to produce a good grind for better quality espresso machines but the Baratza coffee grinder handles those well, and the same can be said for the coarser French press grinds. 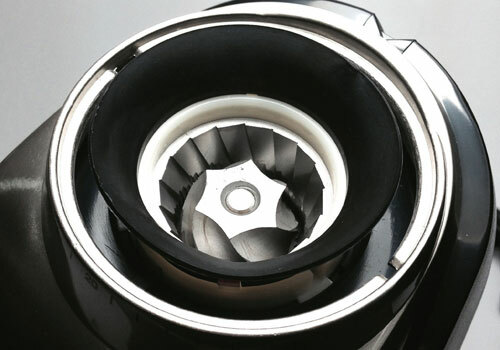 Overall, range, consistency, and durability, are what sets this grinder apart from the rest. For what it’s worth, it is one of the few coffee grinders offered in the Starbucks store. There it is positioned at the top of the line home coffee grinder. 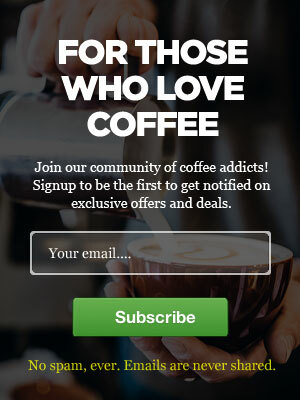 Whether you consider that praise or not will depend on your opinion of Starbucks, but it does speak to the reliability of the machine that a huge name in coffee would associate themselves with it. 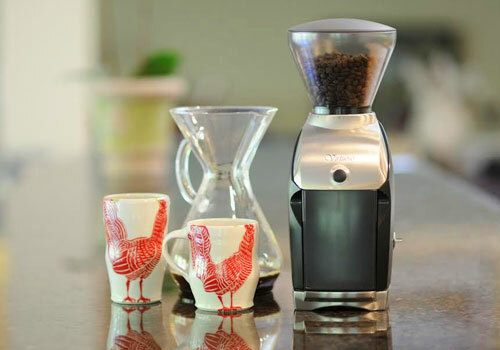 Baratza Virtuoso Conical Burr Coffee Grinder was reviewed by Tim Forman on April 18, 2019. *Disclaimer: Our Baratza Virtuoso coffee grinder review is based mostly on our expertise and the experts we consulted with and the information provided by the manufacturers. We do test many products, but it’s not possible to test them all. As such, please remember the above recommendations are our opinions, and before using any product, please check manufacturer’s website for more information.